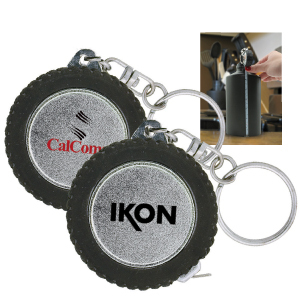 A tape measure keychain in the shape of a tyre with soft rubber tread and a metal tape. Measures up to 914mm. SKU:K-155. Categories: Tools, Promotional Merchandise.